The city of Anchorage restarted efforts Thursday to swap out thousands of old city streetlights with energy-saving LED lights. Mayor Ethan Berkowitz put on a hard hat and rode up in a cherry-picker Thursday morning with a maintenance contractor, Jordan Miller, to help change out a streetlight at 10th Avenue and Medfra Street in the Fairview neighborhood. Berkowitz and Miller pulled off the curved sodium bulb streetlight and replaced it with a flatter, brighter streetlight that glowed white LED light. 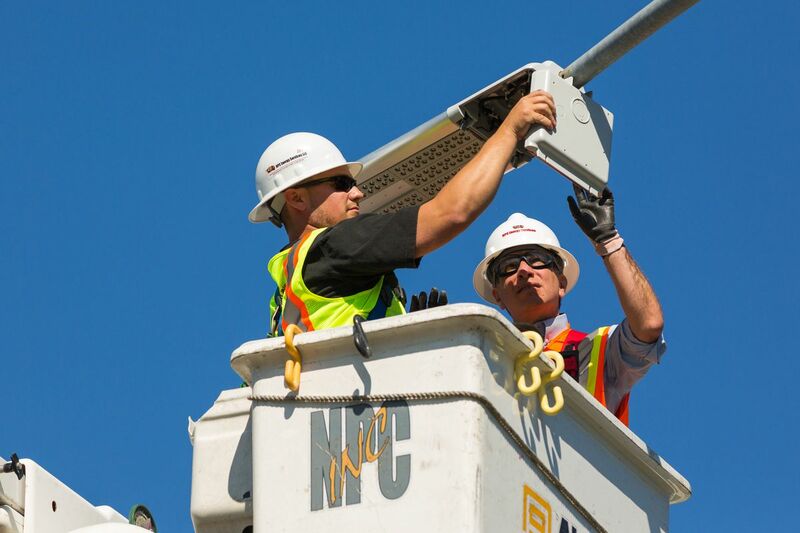 In addition to showing just how many city officials it took to change a lightbulb, the demonstration signaled the first step in a project that will focus on upgrading lights on local collector streets in Municipal Light and Power areas, such as Fairview, Mountain View, Government Hill and Midtown, officials said. The project will cost about $200,000, money approved by voters in a bond package in April. Berkowitz said the city expects to save $32,000 a year with the upgrades. The LED lights cost more upfront than the sodium bulbs they're replacing, but last significantly longer and use less energy. Future projects will depend on an analysis being conducted along higher-speed roadways. Berkowitz has said his administration is prepared to spend between $4 million and $6 million on the effort. Berkowitz said the shift will cut down on light pollution because the light is more directed — though in other cities, such as New York, residents have complained about the glare. Sodium vapor lights have a yellow-orange glow that is less focused than LEDs. 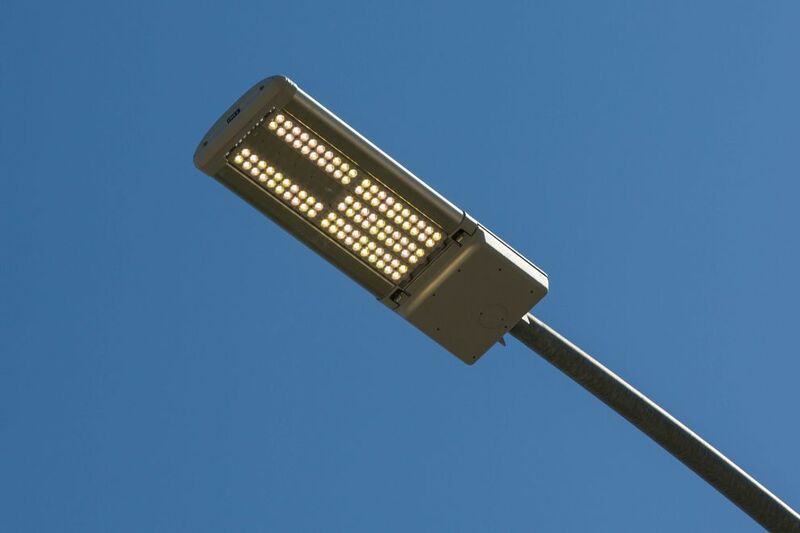 About 4,000 LED streetlights, a quarter of the total estimated number in the city, were installed in Anchorage as part of a project launched by former Mayor Mark Begich. Berkowitz originally announced plans to renew the initiative in August at the international GLACIER conference, which included President Barack Obama as a featured speaker on climate change. He also brought up the idea while campaigning for mayor as a way to cut city spending. Also on Thursday, the mayor's office released an interactive map showing the status of the streetlight replacement projects.